These rum & coke ice pops are a fun adult treat to make for a summer party! Who said kids are the only ones that should get to have fun ice pops? Sometimes a fun adult treat is in order too! And these adults-only ice pops are certainly perfect for a party, especially in the hot summer months. Rum & Coke is one of my adult drinks of choice (though I prefer malibu rum typically 😉 – YUM), so why not turn them into a popsicle?! YUM!!! So alcohol DOES freeze! 😉 At least it does with the Coke mixed in! And these pops are SO easy to make! One thing that makes these more fun is having the plastic ice pop sleeves. You can order those on Amazon (affiliate link) here –> ice pops pouches. Of course, you could use regular popsicle molds too. But I think the ice pops are extra fun (and if they don’t 100% completely set, it’s not a big deal). 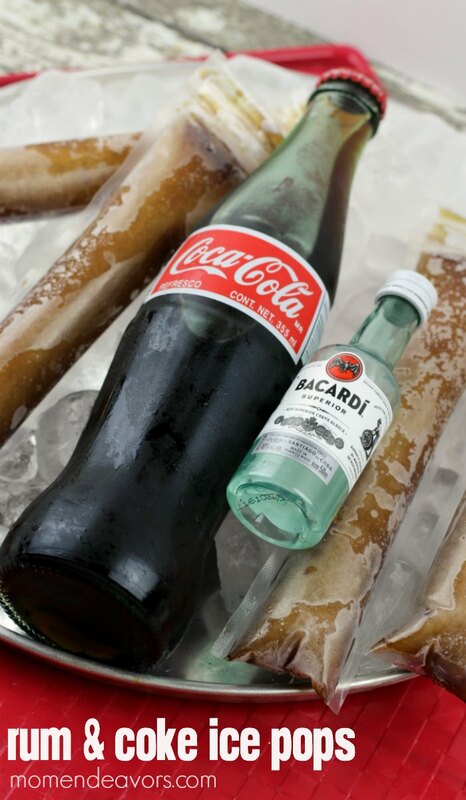 These rum & coke ice pops are a refreshing treat for the adults at your party! Let the Coke go flat before using so there are no air bubbles in the pops. (It will not effect the taste). Add the Coke and rum to a pitcher. Stir to mix well. 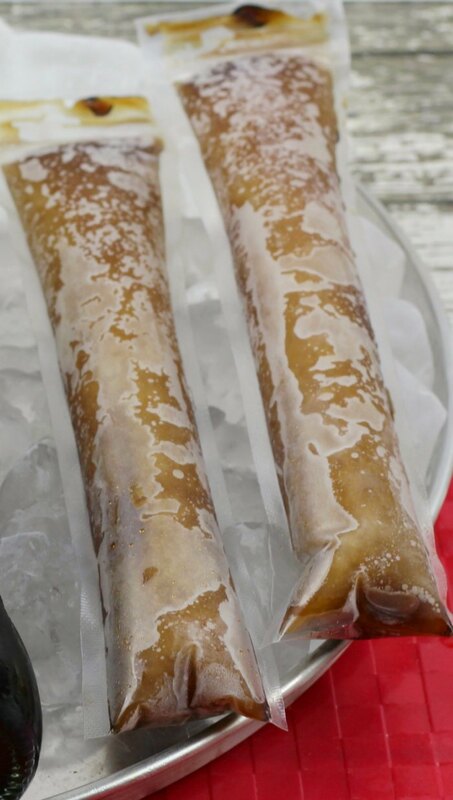 Using a funnel, pour the mixture into each zip ice pop pouch and freeze overnight. So fun! Just be sure to keep them away from the kids! Or better yet, make them their own kid-friendly ice pops!